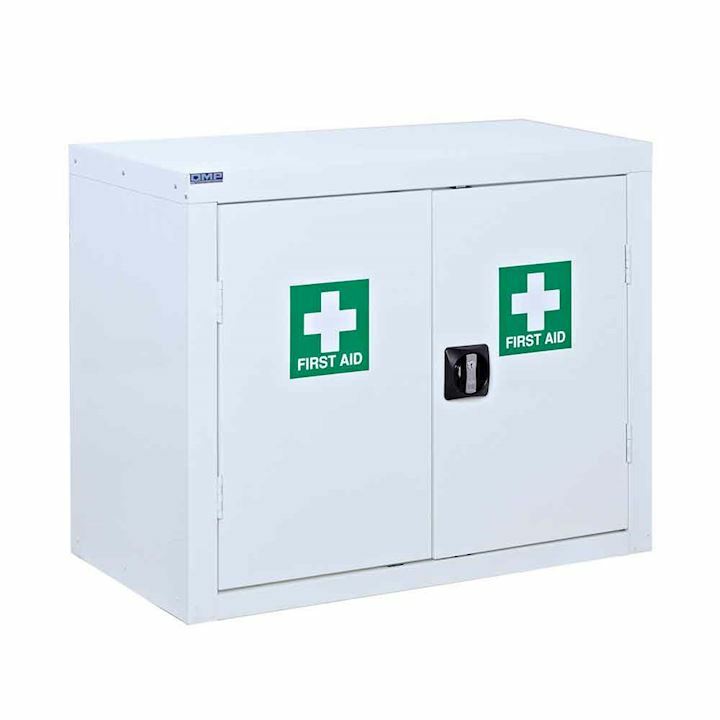 Our range of First Aid Cabinets offers a comprehensive choice of lockable and secure cabinets to lock away vital medical equipment and supplies. Available to order today in a range of sizes and with additional feature suited to your specific needs. 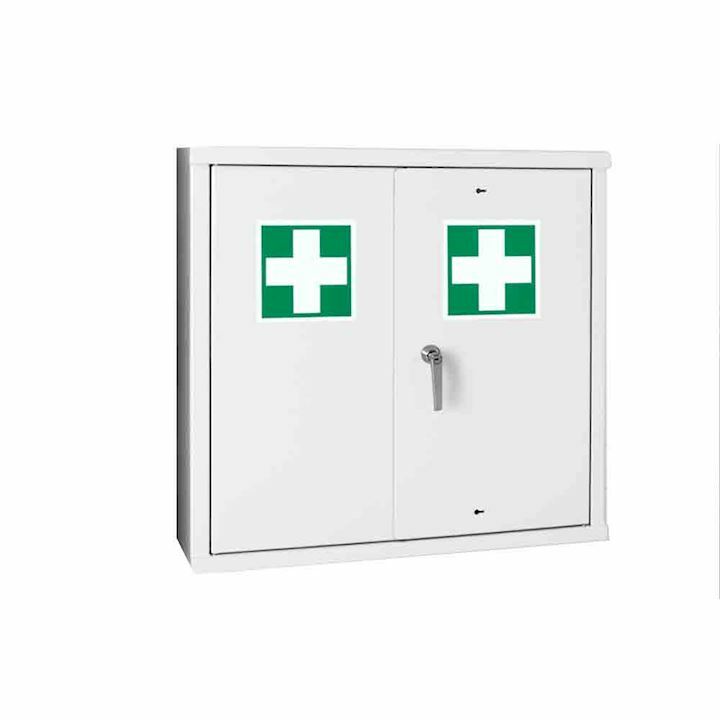 Browse through our selection of large, free-standing first aid cupboards, wall-mounted first aid cabinets and mobile first aid cupboards to find the one that's right for your type of premises. 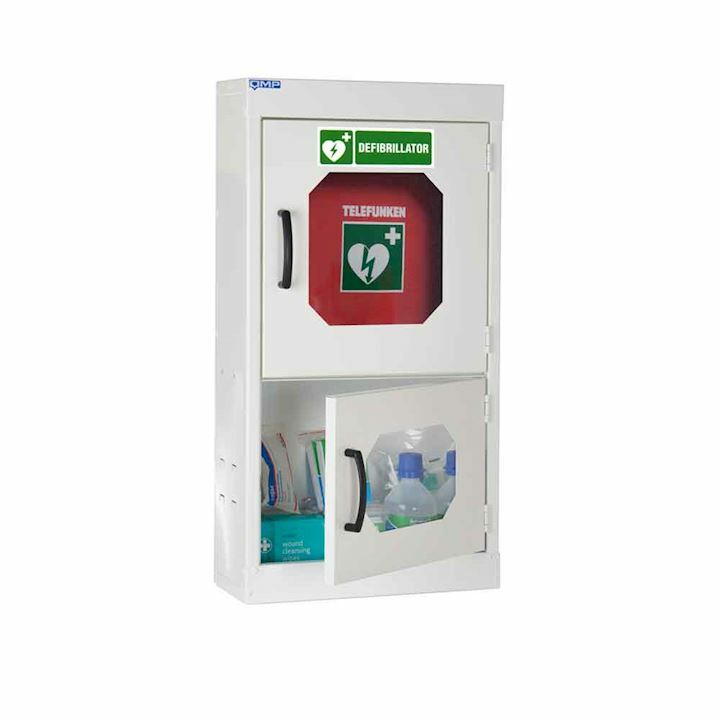 We also offer a selection of the latest style defibrillator cabinets that are highly visible and provide safe storage for vital heart defibrillator and first aid equipment. 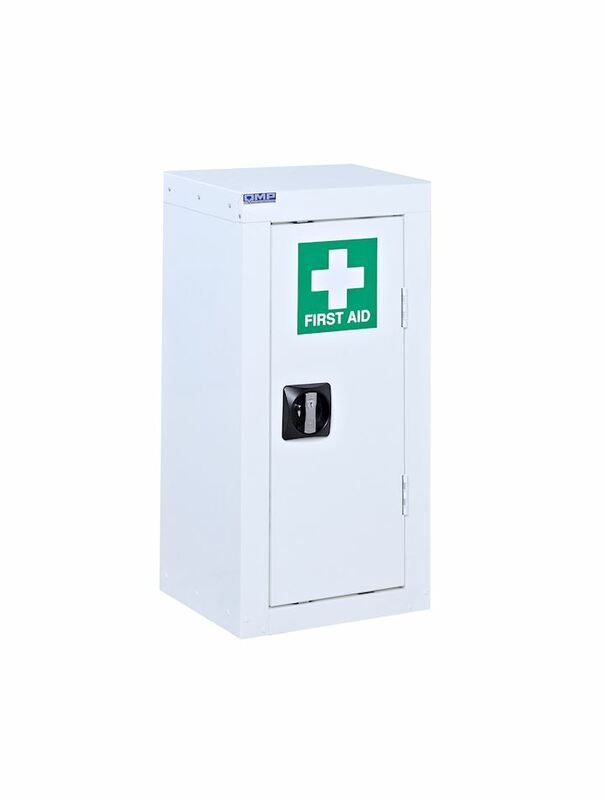 We stock first aid cabinets that are designed for use in all type of presmies, including in the workplace, schools, public buildings, hospitals, leisure compexes, hotels, clubs, as well as the home. 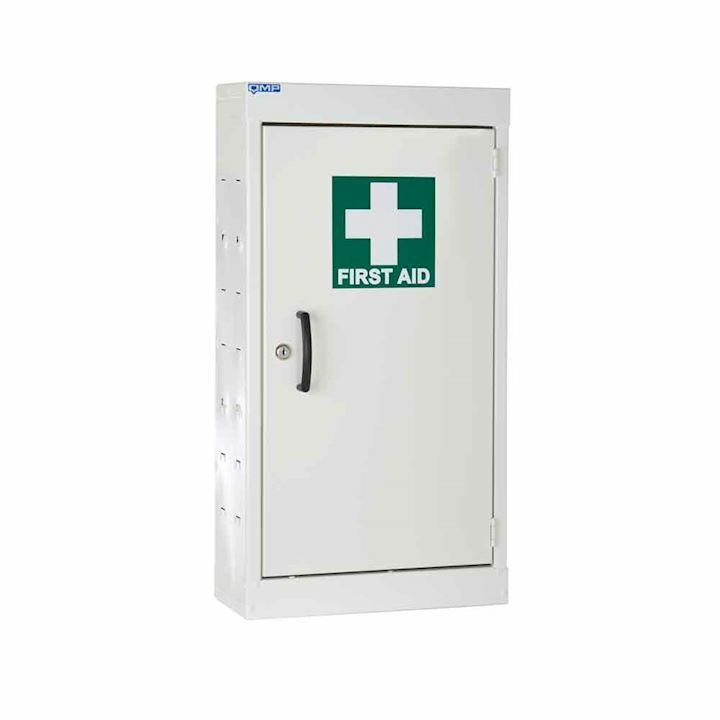 For the office or wherever space is limited, a wall mounted first aid cabinet with single or double doors can provide the ideal solution. 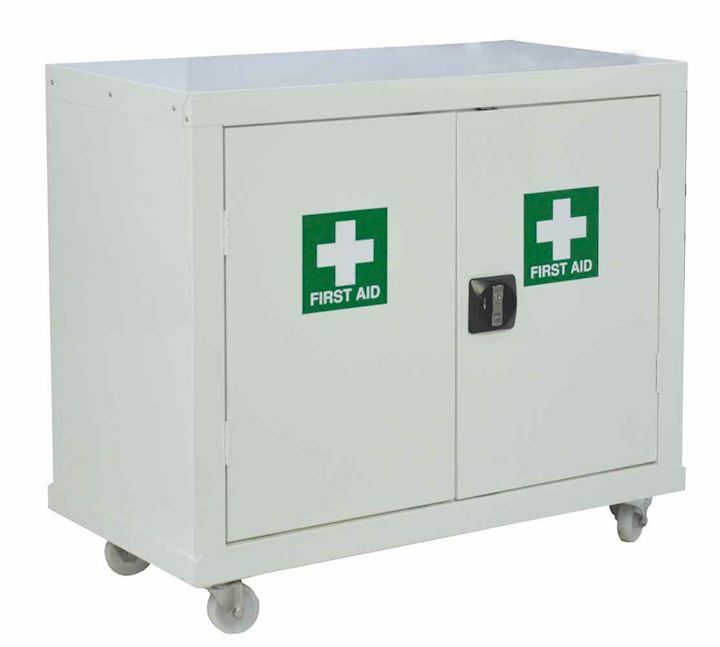 For bigger premises which have more employees or where visitor numbers are high, the better option may be a larger metal first aid cabinet that comes with three adjustable shelves, providing plenty of room to store all essential first aid equipment and accessories. 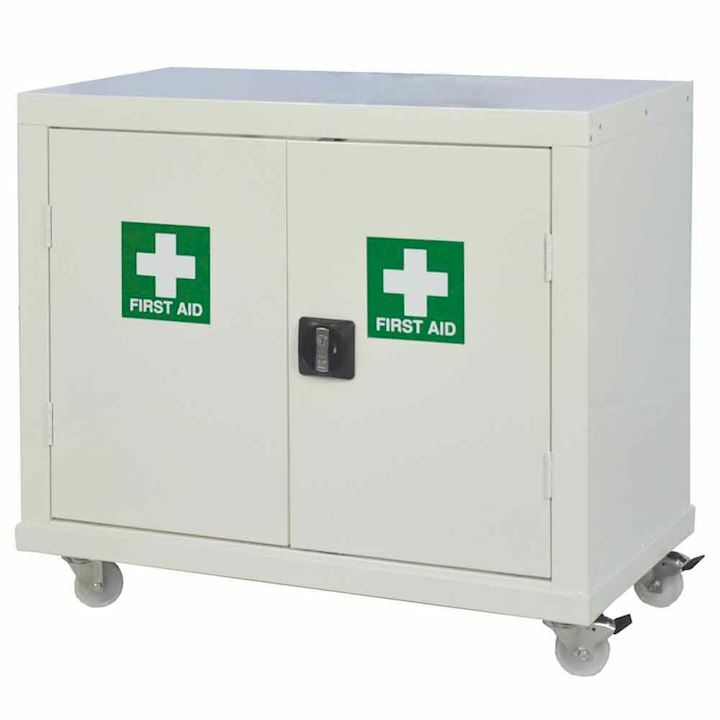 If you are looking for greater flexibility, perhaps for a school or leisure complex, mobile first aid cabinets on wheels could be the answer. Easy to manoeuvre and with brakes on the wheels for added security, mobile cabinets can be quickly deployed to where they are needed - they also allow for easy transfer of supplies. 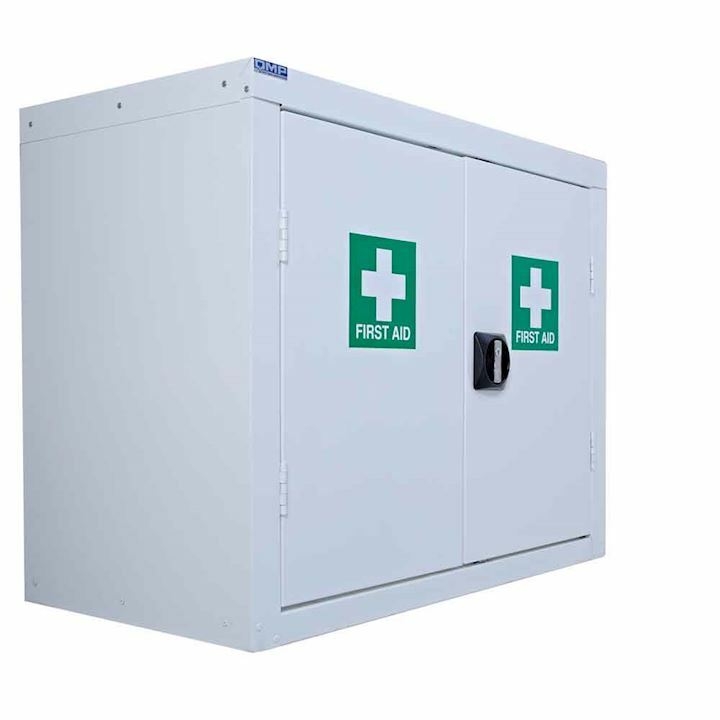 All of our lockable first aid cabinets are manufactured to the highest standard from quality materials and are designed to provide years of reliable service. The units are made from metal and finished in white with a prominent green cross on the front, making them instantly recognisable. 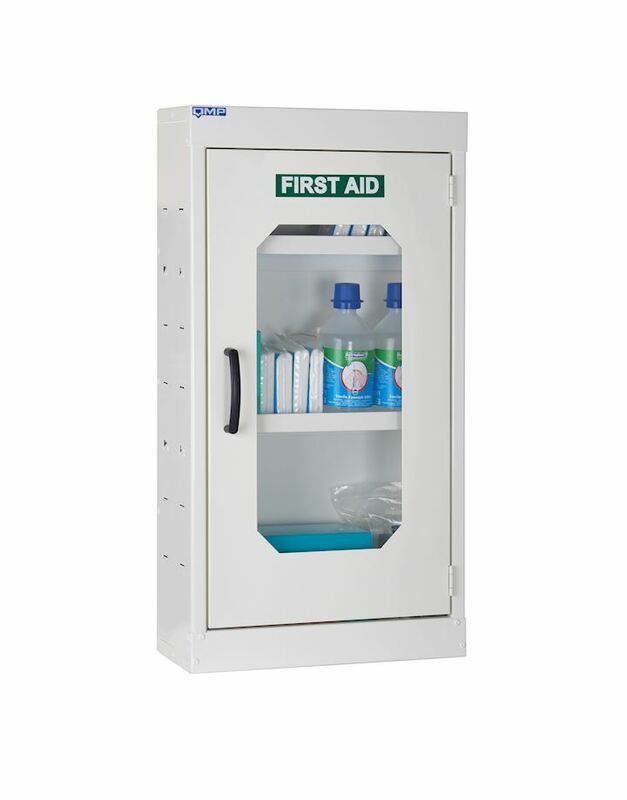 You can also choose first aid cabinets that feature a vision panel so contents can be easily seen at all times. 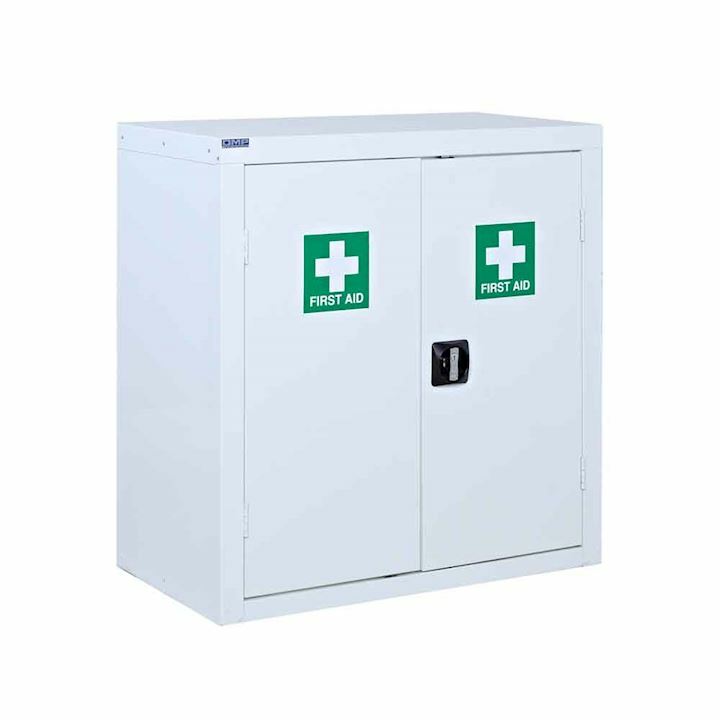 Please note that all medical cabinets are supplied empty, allowing designated first-aiders to stock the units with the kit specific to their requirments plus any other medical equipment of choice. 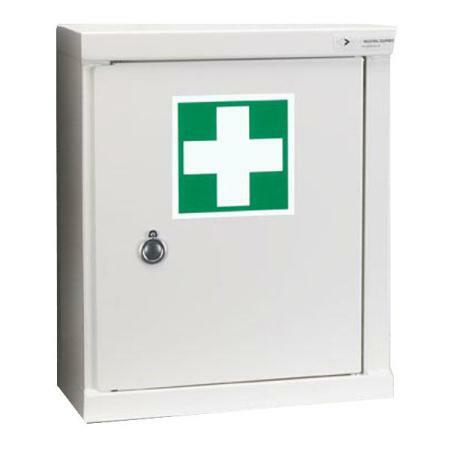 All the first aid cabinets in this range come with signs that help to identify the contents within. Defibrillators are now commonplace in a wide variety of locations and are considered vital for treating on-site cardiac arrest and providing life-saving capability. Designed for use in public places such as airports, outdoor activity centres, defibrillators can be used by experts and on-experts alike to apply early intervention until help arrives on the scene. 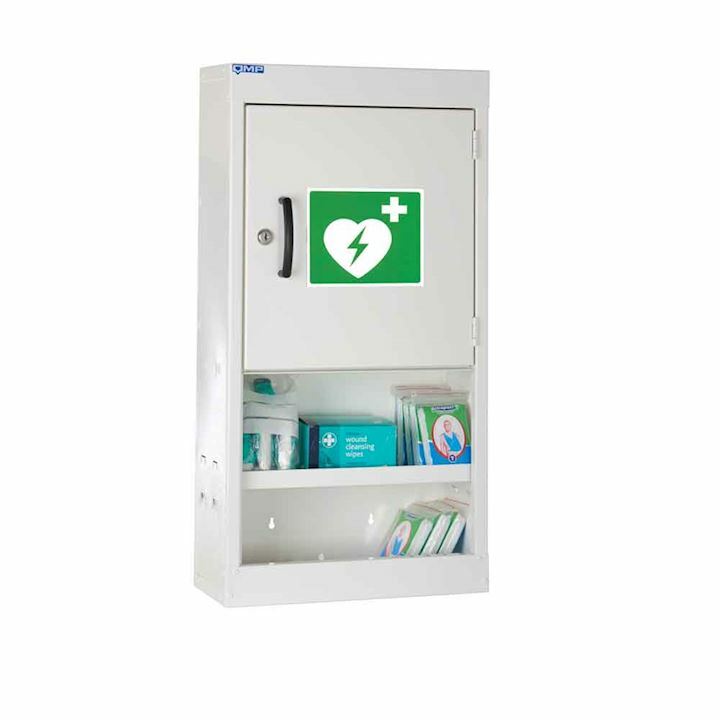 It goes without saying that safe storage of the defibrillator is essential and to this end, we provide a range of modern first aid defibrillator cabinets. 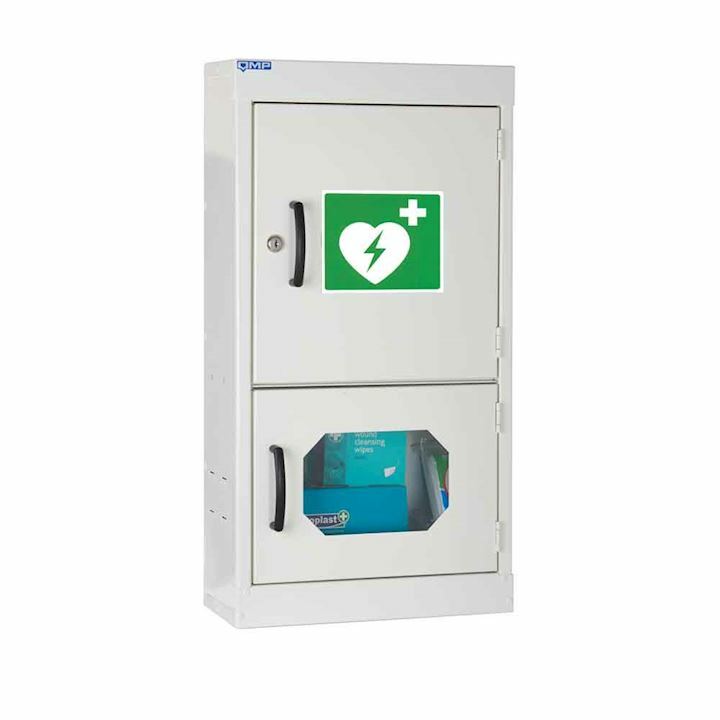 These are specially designed defibrillator cabinets, built to the highest standards and are designed to last. 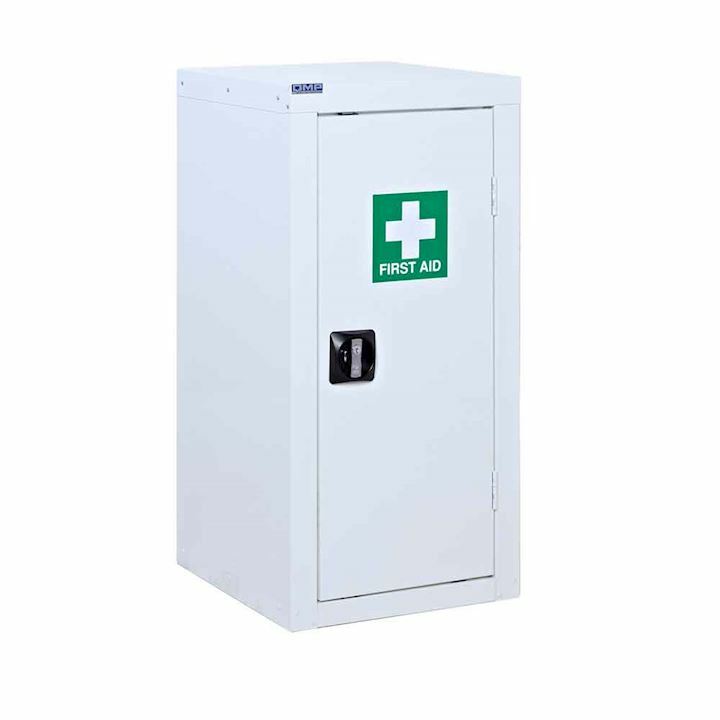 When choosing a defibrillator cabinet it is important to factor in the risk of vandalism and whether a lockable unit is preferable to one without a lock - we supply both types of cabinet. 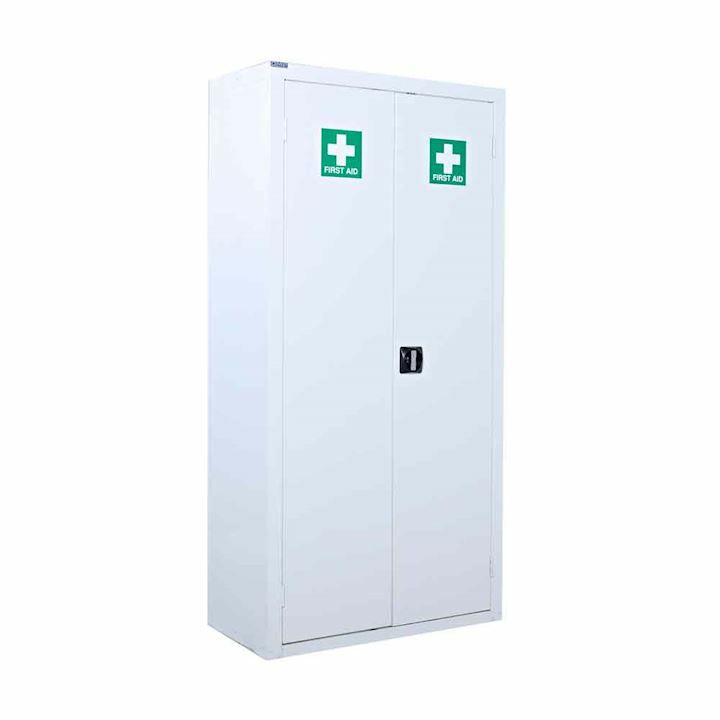 Choose from lockable defribrillator cabinets with open shelves below; two door defibrillator cabinets with single lockable door and vision panel below; cabinets with vision panels top and bottom and single plain door cabinets with a vision panel below. 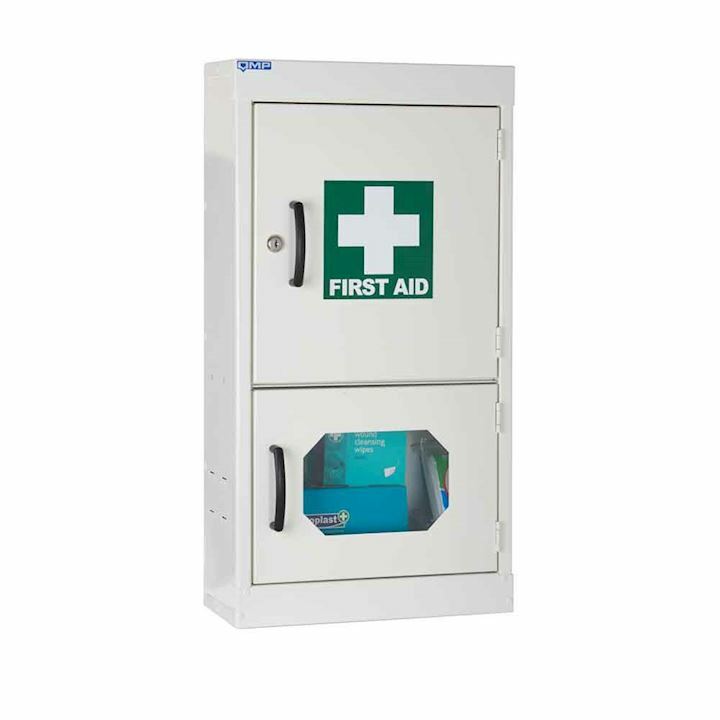 Order from our range of first aid cabinets and defibrillator cabints with confidence today!